One of the most terrifying experiences people are afraid of, is to die in an air-plane accident. Luckily this doesn’t happen very often, in fact, flying is the safest way of transportation in the world, which means that accidents are not likely to happen at any time soon. On the other hand, it is not affective 100%, which also means that there are emergencies and accidents. Strict regulations regarding health and safety of the passengers ensure all air-crafts are constantly maintained and repaired. But in the next cases, something wrong happened and although the results are mostly happy endings, the passengers may had a terrible experience. It is worth to mention that piloting in these videos is remarkable and well executed. 1. 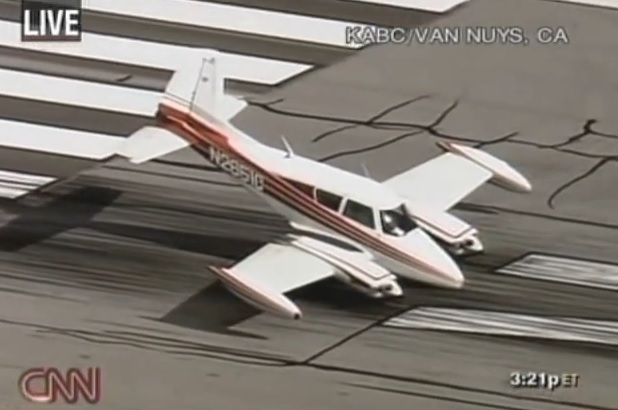 CNN captured this emergency landing of an air-plane with a busted nose gear. 2. An emergency belly landing due to failure in landing gears.